Look over at that banal machine sitting on your desk, your printer. 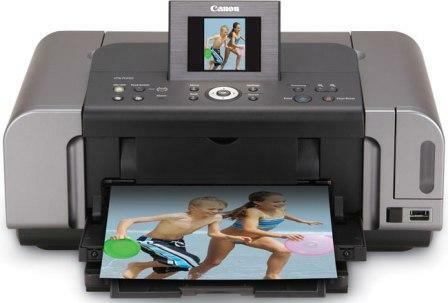 It may seem common place and ho-hum, but ink-jet printers (the most common type of printer) and the ink jet technology that propels them, print some pretty cool stuff. Not only do they print your tax-forms and your college essays – ink jet printers can print everything from sushi, graffiti, espresso, and micro chemicals. At a very basic level ink-jet printing works by shooting ink out of nozzles, though there are several different methods of propelling the ink out, as well as different types of inks. The different ways to shoot ink out include, pumping the ink out, heating the ink, and applying an electric shock to the ink to force it out. Different types of inks include: water based inks, which are the inks used for most consumer printers, solvent inks, which are made out of organic compounds and are water resistant, and the more expensive, but long-lasting, UV-curable inks. 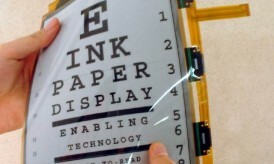 Ink-jet technology is quite versatile, and can be used in a variety of lesser-known, surprising, ways. 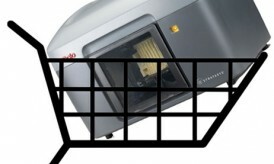 Printing food, for instance. It’s well known that cakes can now be decorated using ink jet technology, and even the common ink jet printers available for the home can be dedicated to this use. But ink-jet printing has lesser-known applications in the culinary world. New York chef Homaro Cantus, for instance, uses ink jets in an innovative, creative and yummy new way. He creates water soluble, water-based edible inks that he uses to print food-pictures for customers (pictures of sushi, for instance). And ink jet printers have even made it into the booming and trendy coffee-shop world, also, bizarrely, used to print out espresso latte art. Besides in the culinary arts, ink jet technology is used elsewhere in the visual art world –for printing everything from textiles to large-scale graffiti murals and chalk-art advertisements. Nike recently funded a campaign against cancer, for instance, during the Tour de France where a vehicle went ahead of the bikers and printed out messages in chalk on the road before them. Ink-jet technology is also used a lot in the chemical and micro-technology world, and most recently has become the foundation for 3D printing technology. Since the technology allows printers to shoot different inks (or materials) out of different nozzles and combine them, it has proved to be (and probably will continue to be) a foundational process in the 3D printing world, as well as the world of nanotechnology and microcomputers. 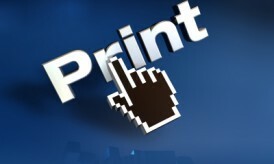 Printers are just one widespread computer item that can be a reminder of the vast potential behind many types of everyday devices in the modern world. Look around you—there are infinite possibilities! This guest contribution was submitted by Carla Eaton, has a B.A. in Mass Media with a Minor in Art and Design. She enjoys writing on the topics of business, technology, and design, and currently blogs for www.inkfarm.com, who specializes in Dell printer cartridges. If you would like to write for us, join Cyber World Community. Next story Has The Question Ever Come Up: What is Virtualization?